TIFF is in full swing now and we had the chance to stop in at the Tastemakers Lounge for some goodies. This is the seventh year that rock-it promotions is setting the celeb gifting tone with their fab swag bags - inside we found everything from delicious edibles, to the practical and of course, fancy indulgences. Bacon makes everything better right? 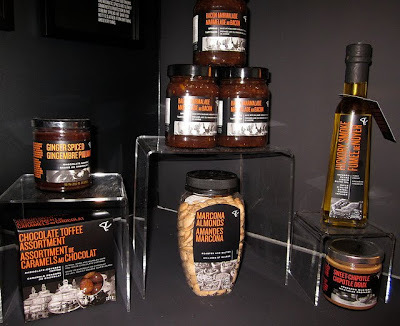 We drooled over PC Black Labels' new product line of Bacon Marmalade, Ginger Spice Chocolate Dip, Marcona Almonds and more! 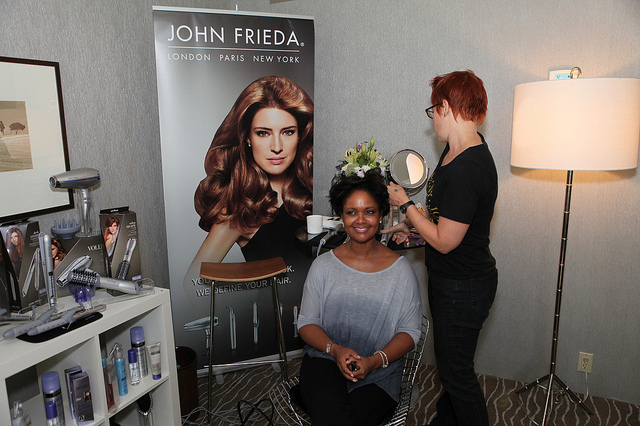 We know celebs splurge big time on their hair and now you can look just as camera ready with the new John Frieda professional styling tools. Tonya Lee Williams gets her hair did by hair and makeup artist, Jodi Grossman. We get charmed at the Pandora booth and walked away with the most beautiful customized arm candy! Lisa chose the pink macrame bracelet with a single sterling silver bead while Wendy goes for the more blinged out look of zirconia and pearl beads. What other pen is perfect for getting Ryan Goslings' autograph? No other than Sharpie, of course! We spotted featured artist, Jessie Armand using these bold colourful permanent markers to decorate a bike. 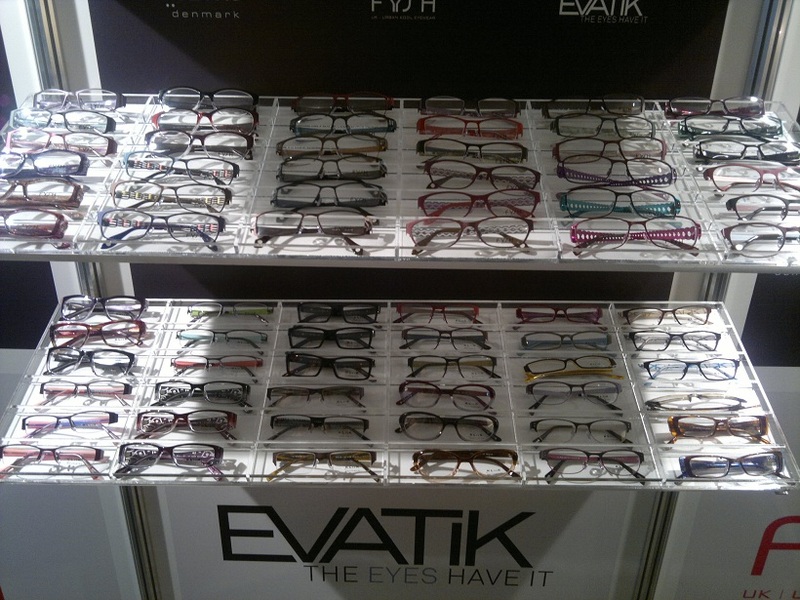 Whoever says glasses are for geeks should check out Canada's Wescan Optical - their trendy innovative eyewear offers a brilliant combination of colours that has you looking professional but hip + urban. 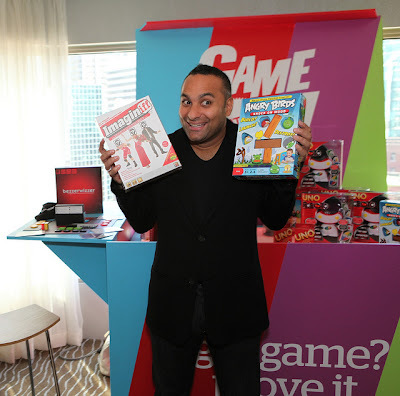 Comedian, Russell Peters, Christopher McDonald of Brooklyn Brothers Beat the Best and Kristin Booth of The Kennedys all love games and scooped up Mattel's latest releases: Angry Birds, UNO Roboto, Bezzerwizzer and Imaginiff. 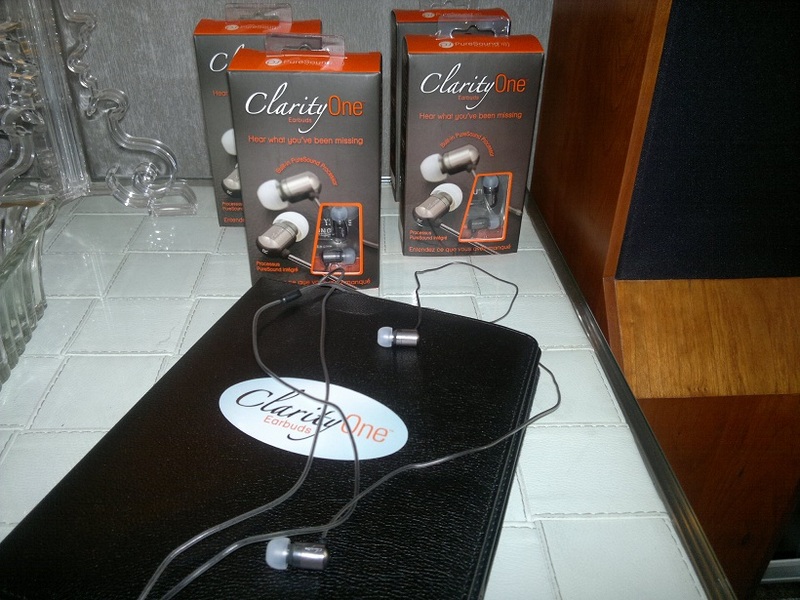 ClarityOne provides music lovers with Earbuds that deliver a crisp, clean and brighter sound. Just think 3-D for your ears! Kristin Adams snuggles in a cozy and stylish blue Crowncap by Nathaniel Cole. These are definitely made for Canadian winters! We've been loving Mavi Jeans since 1991. 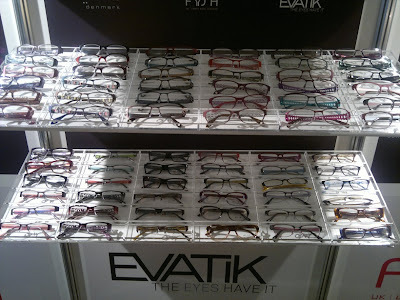 Now they are going gold with their new Gold Collection - a revolutionary fabric that bends, stretches and moves with you... just ask Kate Behean what a perfect fit they are! 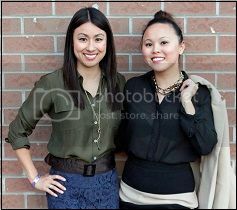 What a fun day it has been at Tastemakers Lounge! 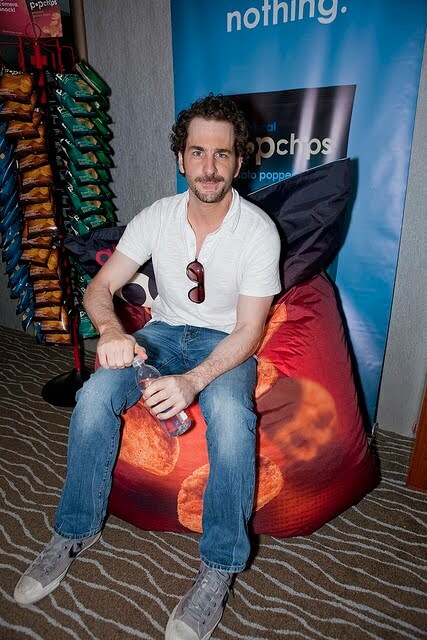 We're hungry for Popchips and so is Aaron Abrams.